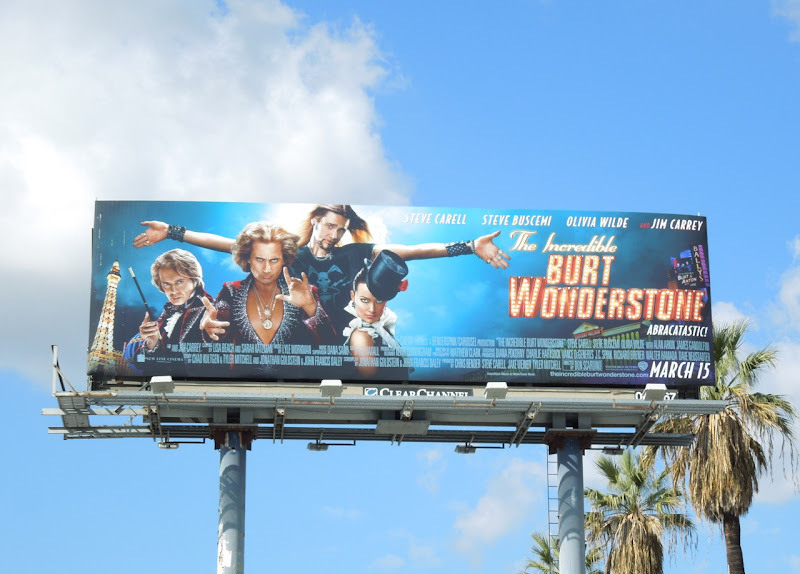 From witches to magicians, this year Hollywoodland certainly wants to cast a spell on movie goers. 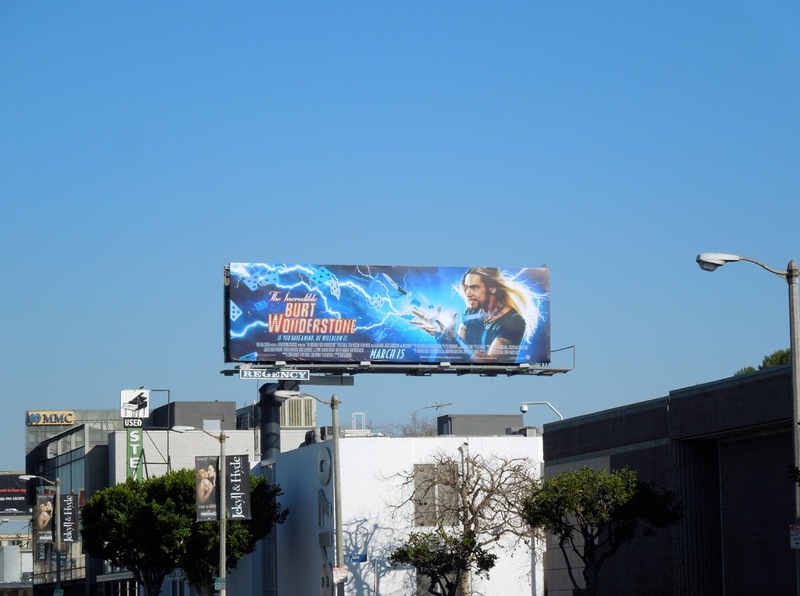 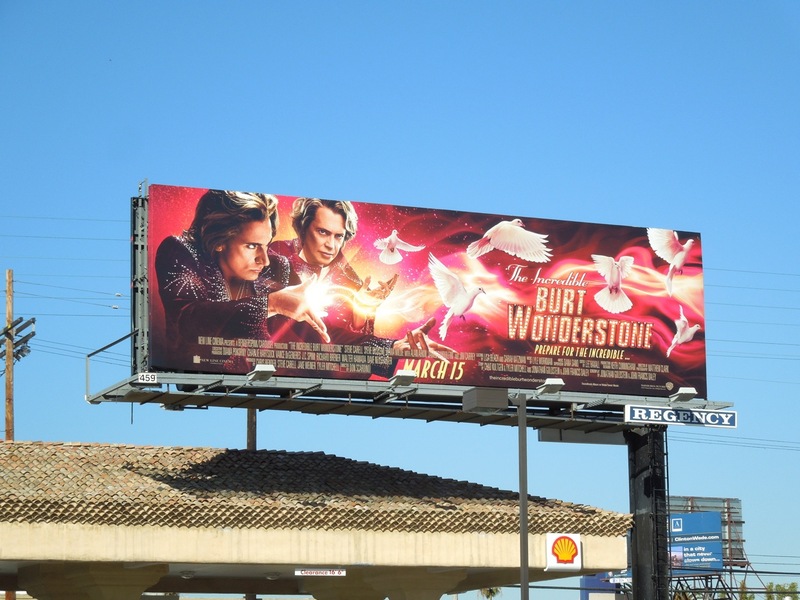 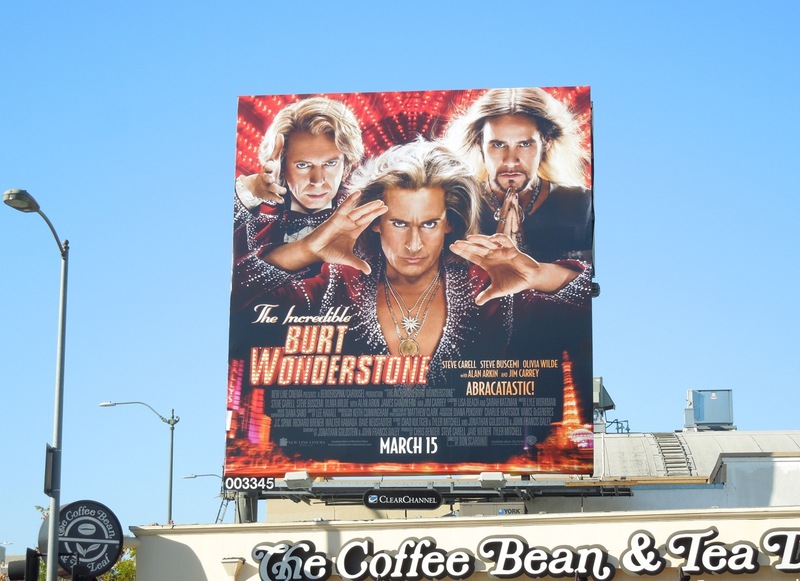 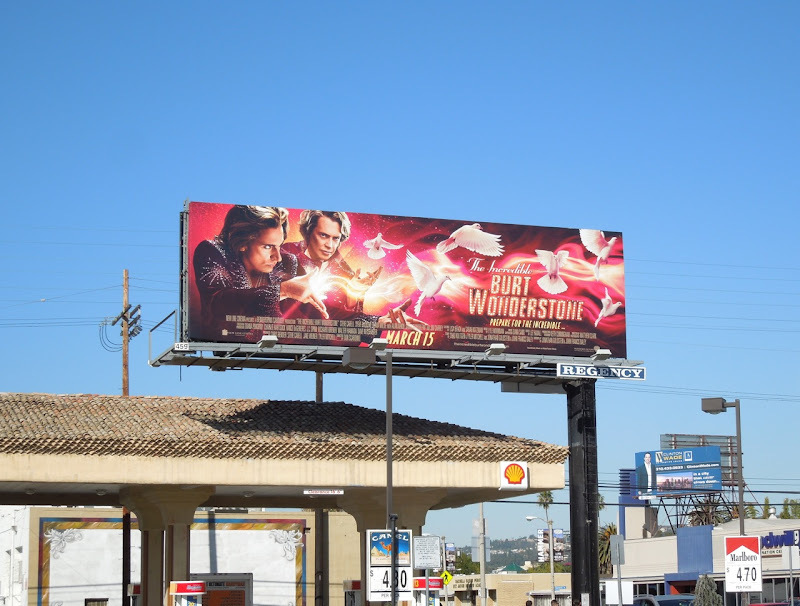 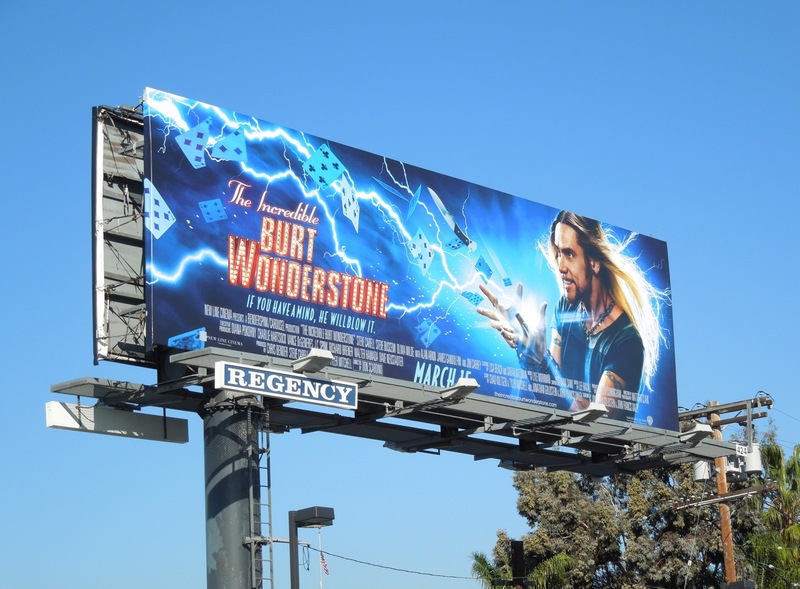 These billboards for The Incredible Burt Wonderstone look like a lot of fantastical fun, which is fortunate considering this magical film sports the comedy credentials of Steve Carell as the titular 'Burt' alongside Jim Carrey, Steve Buscemi and Olivia Wilde. 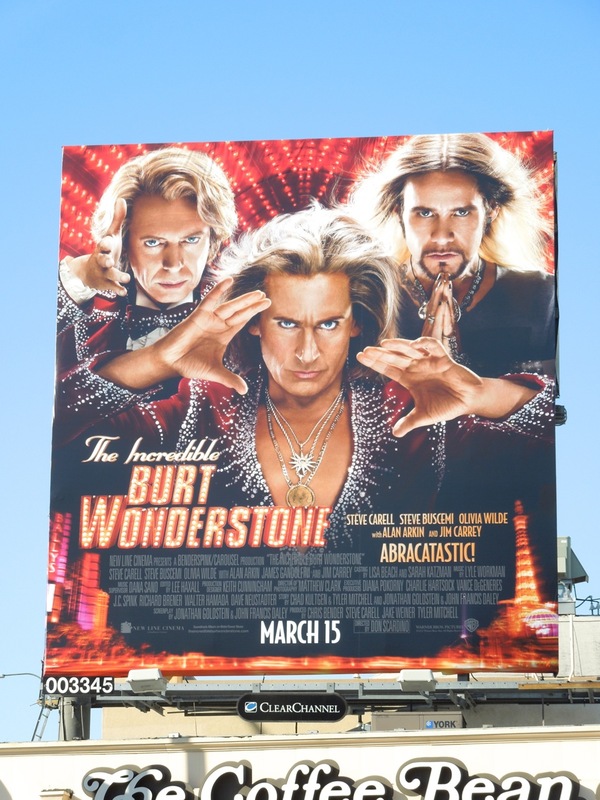 When Las Vegas entertainer 'Burt Wonderstone' and his longtime sidekick 'Anton Marvelton' (Buscemi) allow their stage act to grow stale and sloppy, an up-and-coming dangerous street art performer 'Steve Gray' (played by Jim Carrey) comes along and steals their limelight. 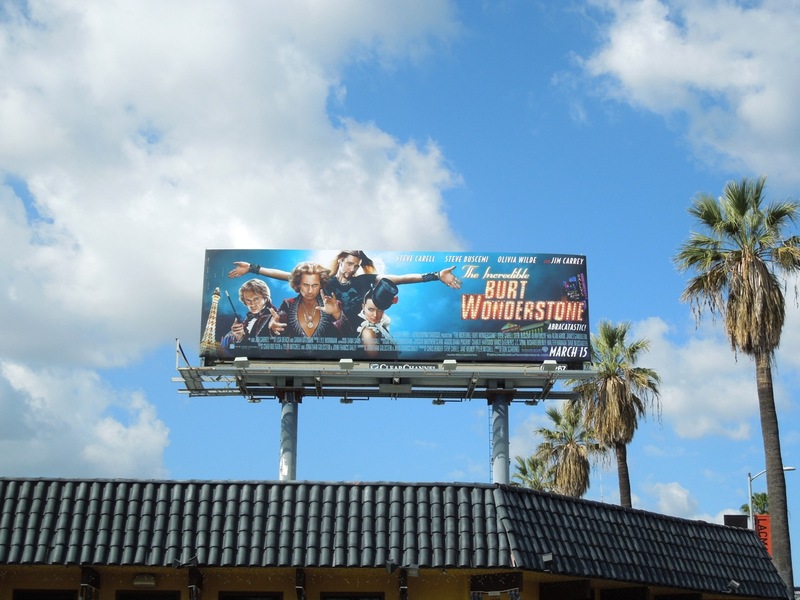 Finding himself without a partner and out of favour, the jaded Burt enlists the aid of his original inspiration 'Rance Holloway' (Alan Arkin) to recapture the drive, passion and magical spark of his youth. 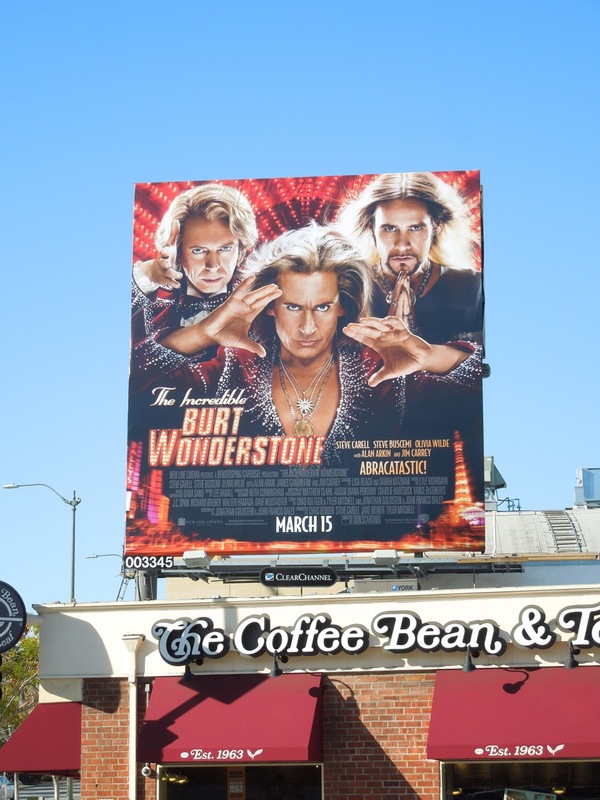 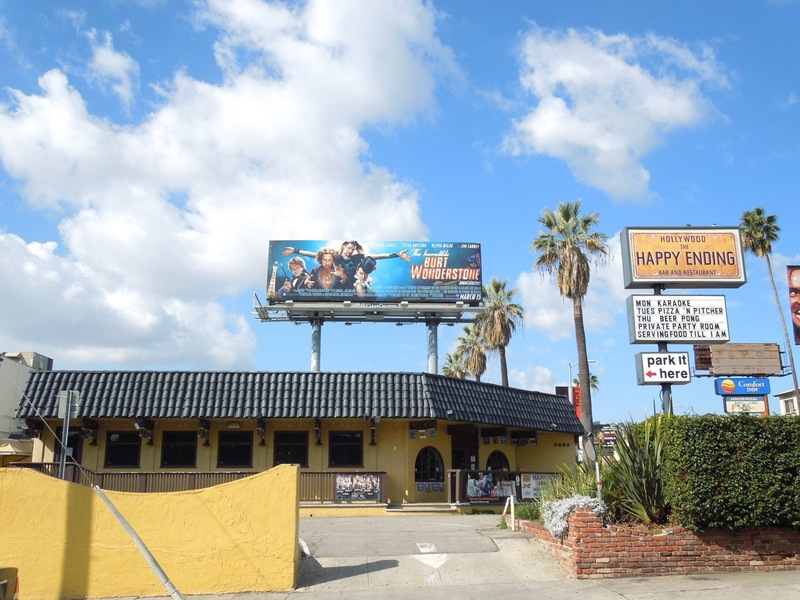 These vibrant billboards were snapped all over L.A. from Sunset Boulevard to Melrose Avenue, Beverly Boulevard to Fairfax Avenue and Santa Monica Boulevard at Beverly Glen Boulevard to name but a few, from February 14 to February 27, 2013. 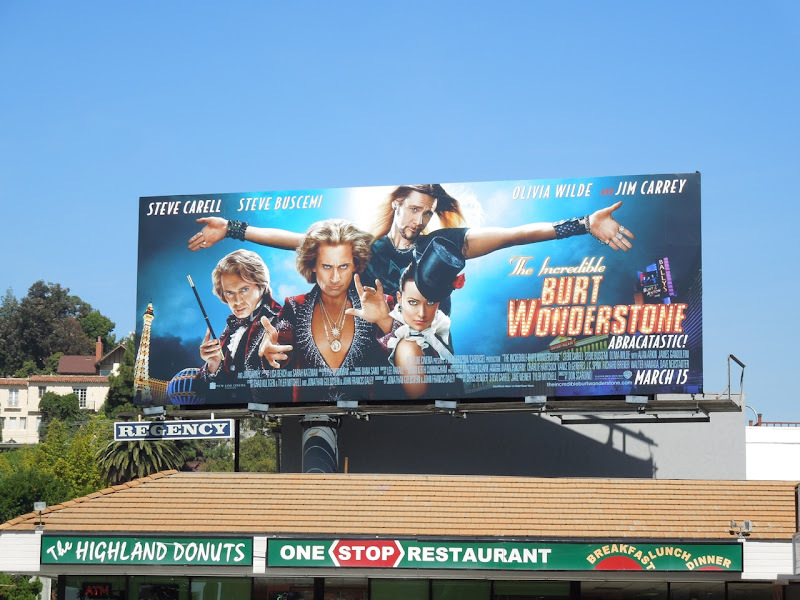 If you're a fan of Steve Carell, check out these Crazy Stupid Love movie billboards, for Jim Carrey take a look at his Mr. Popper's Penguins movie billboard and you can see Steve Buscemi in these cool Boardwalk Empire TV billboards. 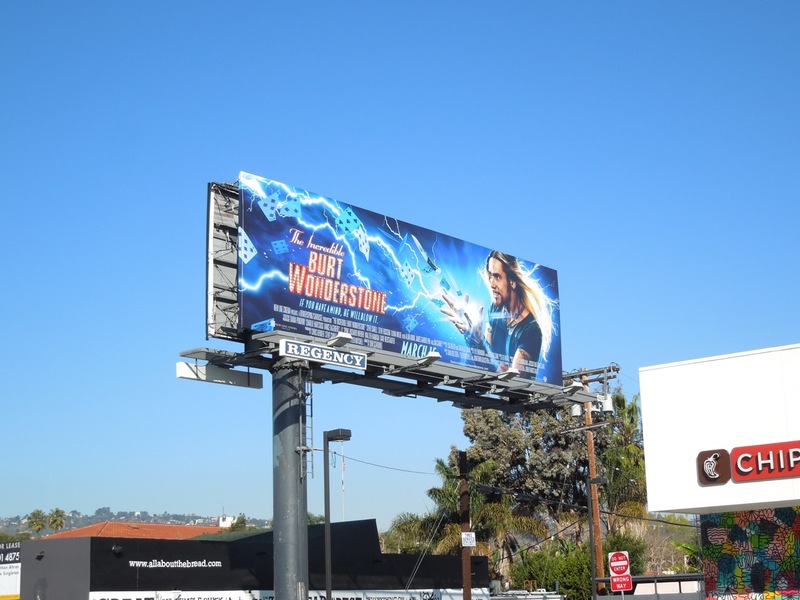 Let's hope this comedy is truly Abracatastic and not just a lot of old Hocus Pocus. 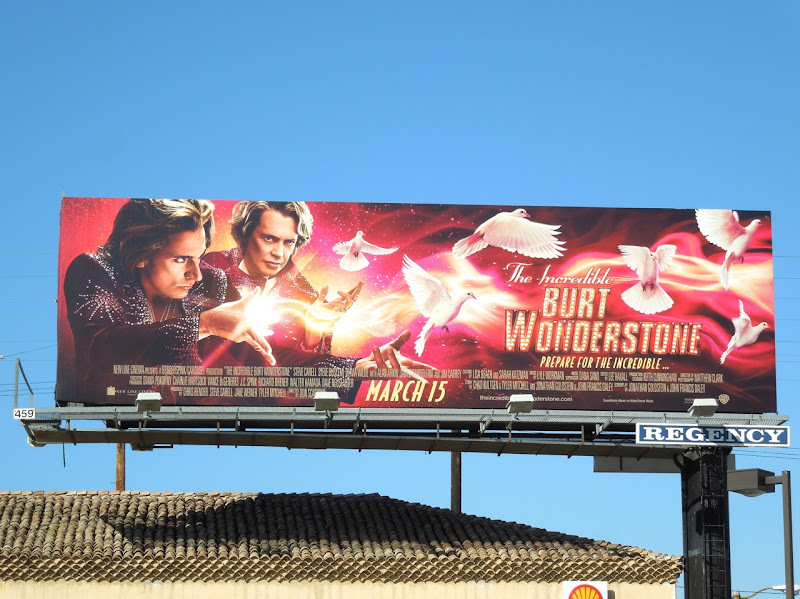 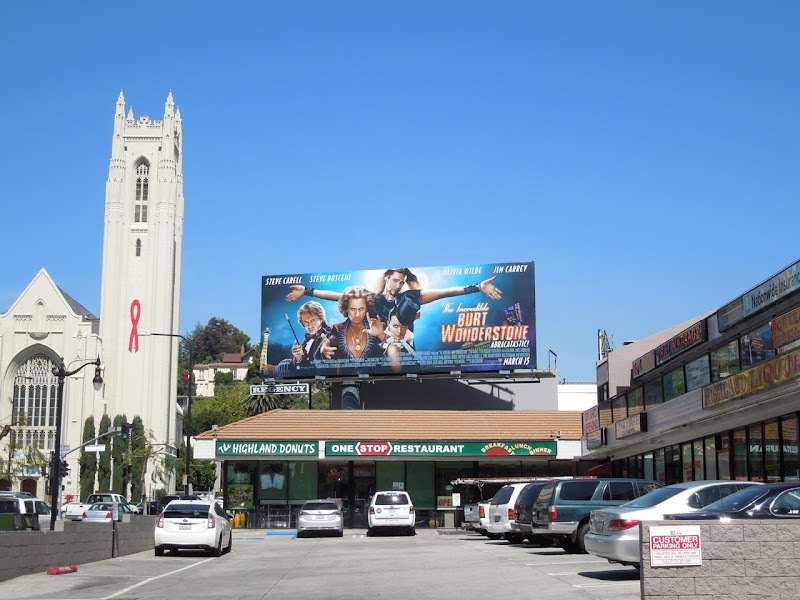 UPDATED: Daily Billboard couldn't help but share more photos of the ensemble cast billboard as it's pretty magical, this time snapped along Highland Avenue in Hollywood on March 14, 2013.